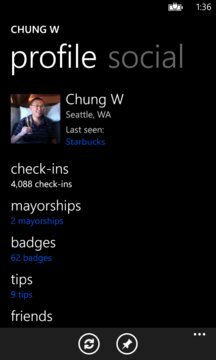 4th and Mayor is a snappy, simple, fun foursquare and swarm client for your Windows Phone. 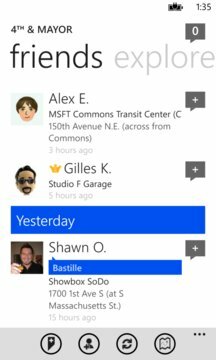 Find nearby places and let your friends know where you are by checking in. If you love this app, please leave a great rating. Thank you. This application uses the foursquare™ application programming interface but is not endorsed or certified by Foursquare Labs, Inc.